This is my 5 year old daughter Miriam, and her great-grandmother, Doris. They are visiting, smoothing, folding, and hanging. Doris told us that when she was little every Monday they went to the washateria. All the neighbors were there, and there was always coffee. They packed sandwiches, and someone always made a cake. 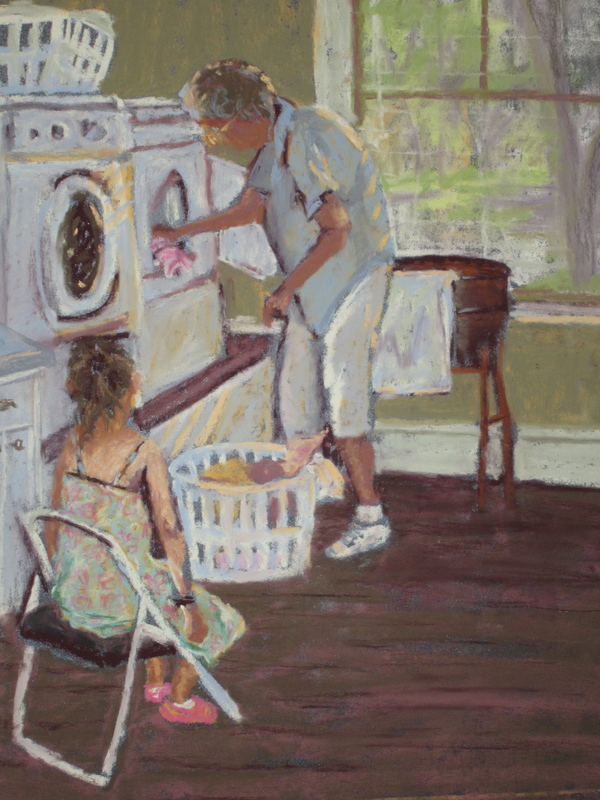 They washed, and the children played, they worked, and helped. We don’t have wash day anymore, I can drop a load of laundry in anytime…I sometimes think about all that we have lost with the gains in technology.